Charlie Azzopardi was top centre-forward during his time with Floriana Ajax. To say that Floriana had a great team in the 1950s would be an understatement. Behind that bare fact lies a tale of brilliant football that did credit to the Maltese game. Floriana rarely put a foot wrong in those days. Leli Zammit and Lolly Debattista were two sturdy full-backs. Wing-halves, Joseph Grech and Tony Vella were a constant link between defence and attack. Tony Dalli, though slow on the turn, was unbeatable at centre-half and the forward-line clicked with clockwork precision. Those who had the privilege to see Lolly Borg, Pullu Demanuele, Benny Camilleri, Victor Farrugia, Charlie Bennetti and Charlie Azzopardi in action would never forget Floriana’s magic of that particular era. Azzopardi (il-Gross) had football running in his blood. Before the war his father, George, was a regular half-back for Floriana and the RMA and his uncle was the legendary goalkeeper, Manwel Azzopardi (il-Gejta). 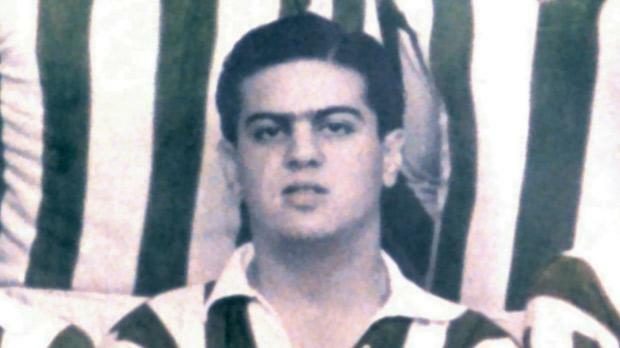 Another uncle, Tony Azzo-pardi (il-Biddy) played in the half-back line for the famous Floriana Tigers between 1935 and 1937. Born in Floriana, on December 21, 1930, Charlie Azzopardi started his career with the Ajax team at the age of 16. A skilful centre-forward, he relied more on his intelligent positional play than the robust technique used by strikers of his era. Azzopardi was somewhat weak in the air and this prompted Floriana’s mentor, George Shaw, to move him to the right wing where his skill with the ball and passing could be more appreciated. His knack of hitting vital goals, however, never left him and between 1947 and 1953 he scored 47 goals in 100 first-team games for Floriana. Although he was the recognised goal scorer, Azzopardi could also make goals as well as score them. Floriana scored many goals from his deliveries. Azzopardi won three league titles, two FA Trophy medals and a Cassar Cup with Floriana. Then, in 1953, like a bolt out of the blue, he was transferred to Rabat FC who were then making a bold bid to win promotion to the First Division. He stayed with the Magpies for only two seasons and played 23 games, scoring eight goals. But this was a far cry from the good old days when he formed part of the Ajax team. In 1955-56, he returned to Floriana but his best days were over and during that season he played only six league games and at the end of the season he retired. Azzopardi was part of the MFA U-20 team that made football history when taking part in the Palermo Youth Tournament in 1949-50. He also played 10 times for the MFA XI against visiting foreign teams and six times for the League XI in prestigious representative matches against services XI’s. A sign of a good player is his record against foreign teams. In fact, Azzopardi played 36 matches in tours and tourneys for Floriana, the MFA XI and the MFA U-20, scoring 10 goals in the process. Unfortunately, Azzopardi died young. On October 28, 1970 his death was announced at the relatively young age of 40. He was the first Ajax legend to die and left behind him fond memories of the great era in the history of the club from Floriana.